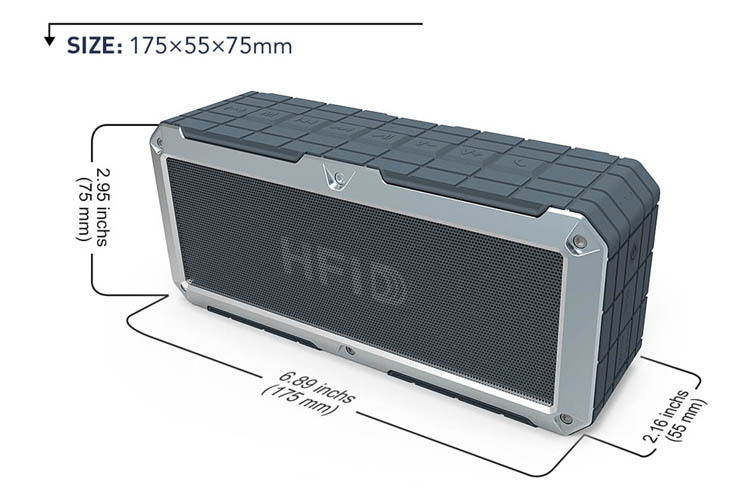 What is the specification for 20W High Power Waterproof Bluetooth Speaker ? 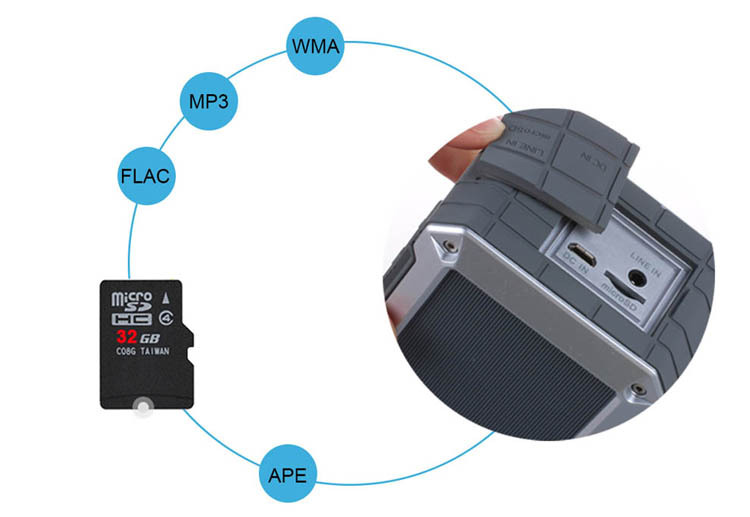 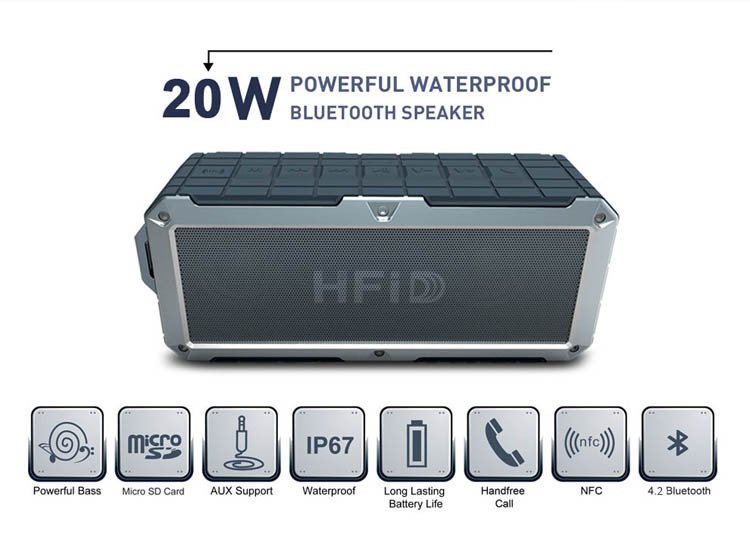 What is the features for Powerful 20W Waterproof Bluetooth Speaker ? 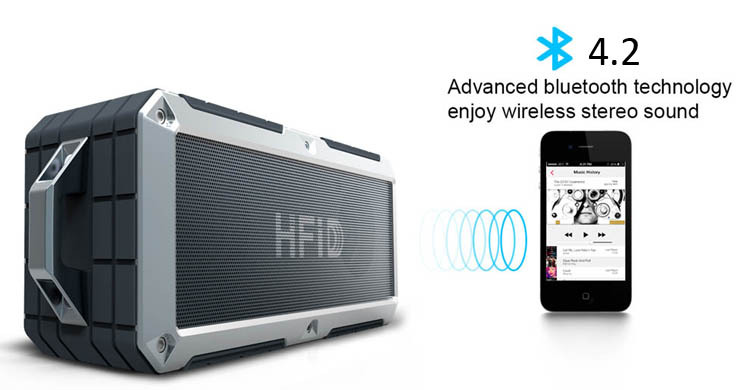 4. support NFC, handfree call,siri,Aux in ,earphone out TF card . 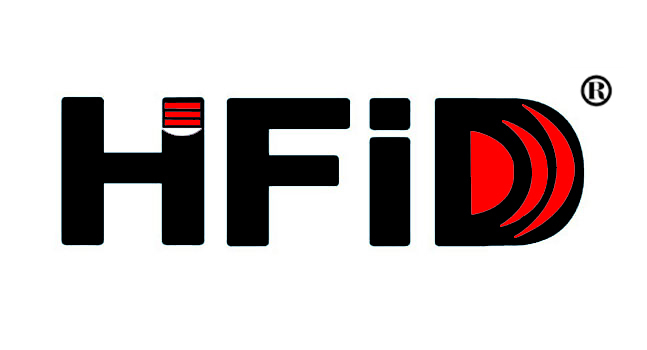 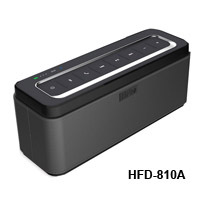 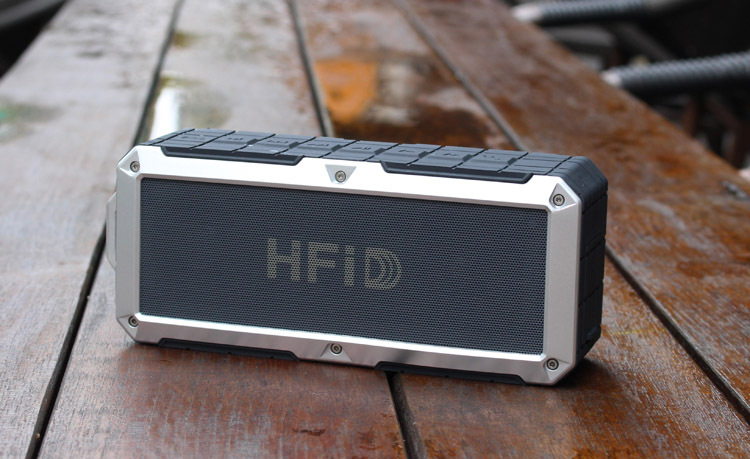 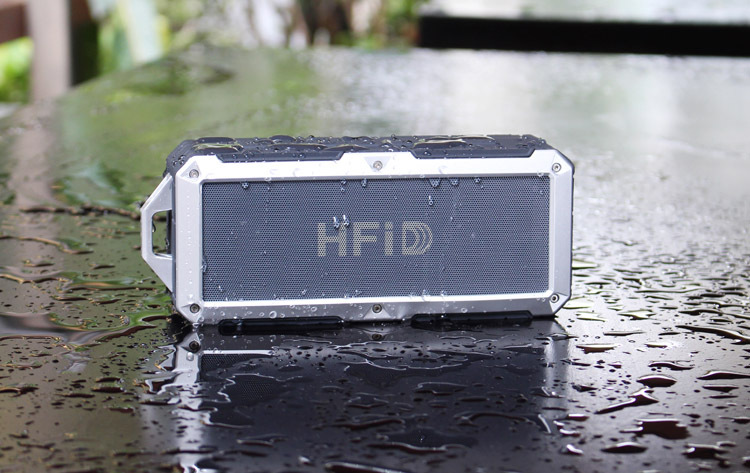 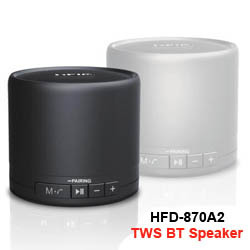 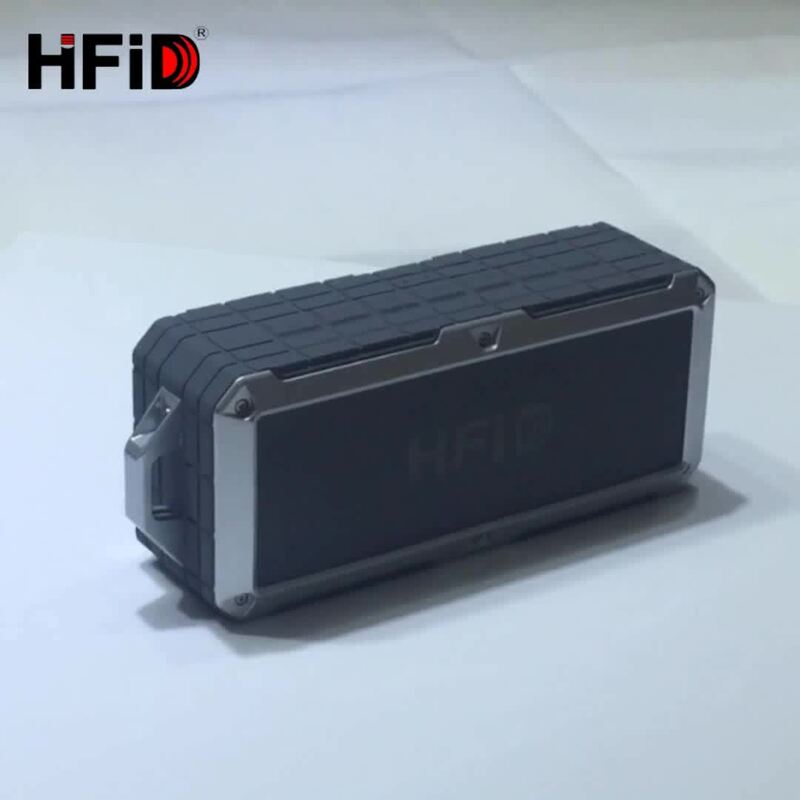 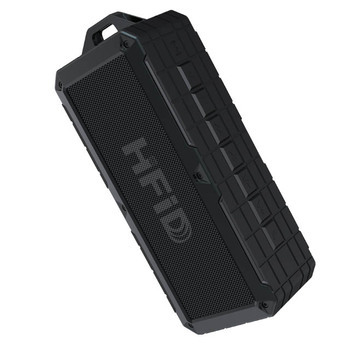 HFD-896D Mini Portable Bluetooth speaker with unique design of Waterproof & Dustproof ,so you can place it in a variety of locations and can easily take it from one place to the next. 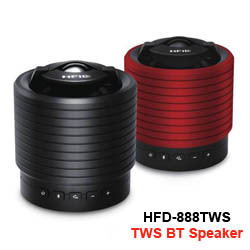 Its extremely powerful sound that accompanies you wherever you go. 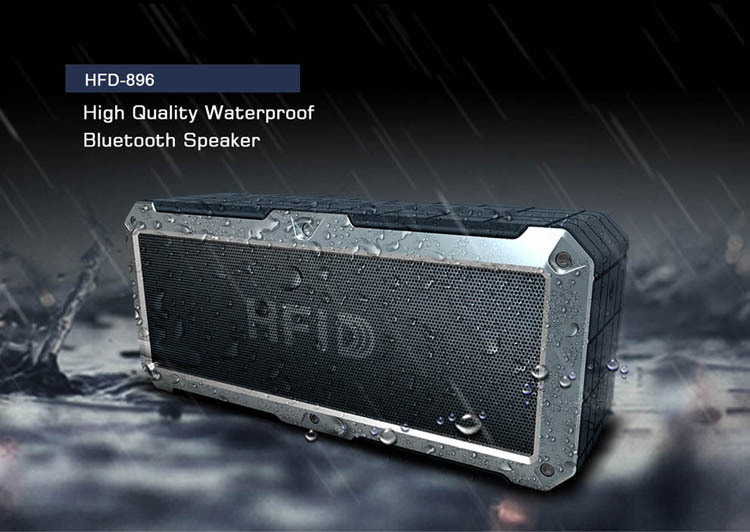 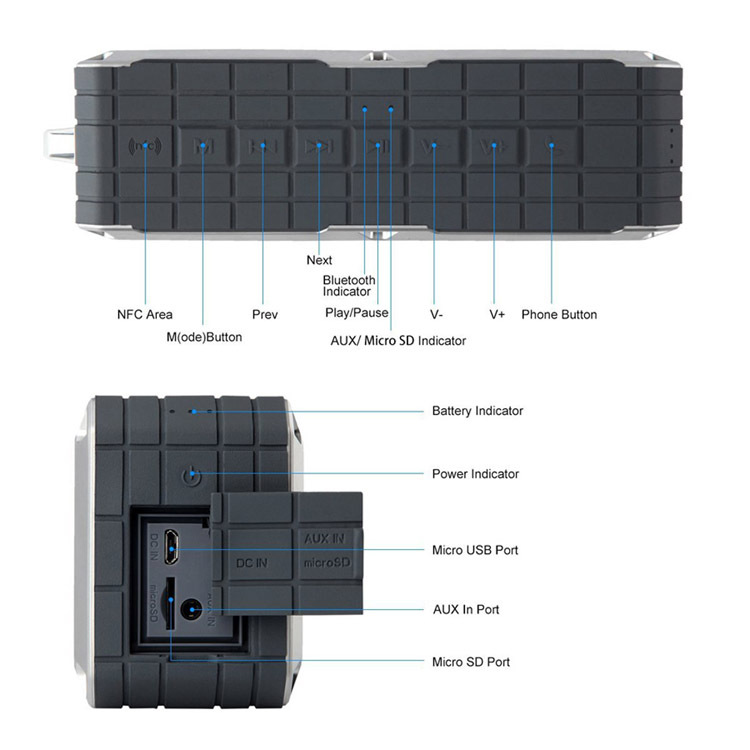 What you can get for 20W IPX7 Waterproof Bluetooth Speaker?